2 min read . Updated: 18 Oct 2011, 12:17 PM IST Sunil B.S. With the global economy in all sorts of trouble, a trade war is precisely what the doctor would not order. China has been holding its currency down through massive central bank intervention, but a trade war at this juncture could do immense harm to the global economy. The US does not seem to have learned one of the big lessons of the 1930s, when it help build protectionist barriers through the infamous Smoot Hawley Act. Other countries followed suit. Global trade withered. The Great Depression loomed. The new US law suggests that the lessons from economic history have not been learnt. In fact, the impact of a trade war could be more severe in our age of tightly integrated economies. 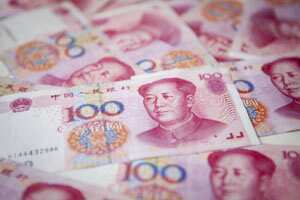 To be sure, China has been manipulating its currency for too long. But it can also point out that the quantitative easing in the US amounts to an attempt at manipulating the value of the dollar. Or that it has allowed the yuan to move up against the dollar, one reason why its current account surplus has fallen from 10.1% of GDP in 2007 to 4% of GDP in 2011. Global financial rules do not encourage currency manipulation. For example, Article IV, Section 1 of the Articles of Agreement of the International Monetary Fund commits member countries to "avoid manipulating exchange rates or the international monetary system in order to prevent effective balance-of-payment adjustment or to gain unfair competitive advantage over other member countries." Moreover, the principles and procedures for implementing the Fund’s obligation (in Article IV, Section 3) "to exercise firm surveillance over the exchange rate policies of members" call for discussion with a country that practices "protracted large-scale intervention in one direction in exchange markets" . Article XV (4) of the General Agreement on Tariffs and Trade (GATT), which is now an integral part of the World Trade Organization, similarly indicates: "Contracting parties shall not, by exchange action, frustrate the intent of the provisions of this Agreement." It can also be interpreted that an undervalued exchange rate works as an import tax and an export subsidy. So, the WTO Agreement on Subsidies and Countervailing Duties (SCM Agreement) can also be invoked to check China’s unfair trade practices. One of the less-appreciated achievements of these past three years of economic crisis is that the main economic powers assembled under the G20 umbrella have kept their borders open to trade. Overt protectionism has been kept at bay. But we have seen occasional fears about currency wars, as countries try to export their way out of trouble. It is against this backdrop that a trade war between the two most important economies in the world is a cause for worry.